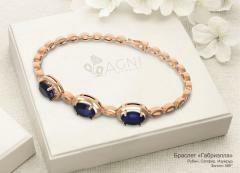 NEW COLLECTION of the Jewelry Plant "AGNI" - gold of 585 °C sapphires, emeralds, rubies and diamonds. Gold of 585 °C sapphires, emeralds, rubies and diamonds. Silver dagger, slips from gold. 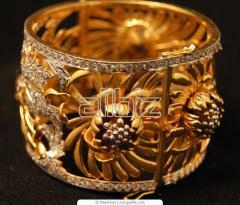 Products with gemstones and diamonds.